“Treason” is a narrative event where the players of a tournament can immerse and be part of the Infinity background. In “Treason” players will become the leads of an important episode that happened in Kuraimori and the repercussions of the Motobushima massacre by the Yuándùn Division. It is time to look for justice! What side are you on? 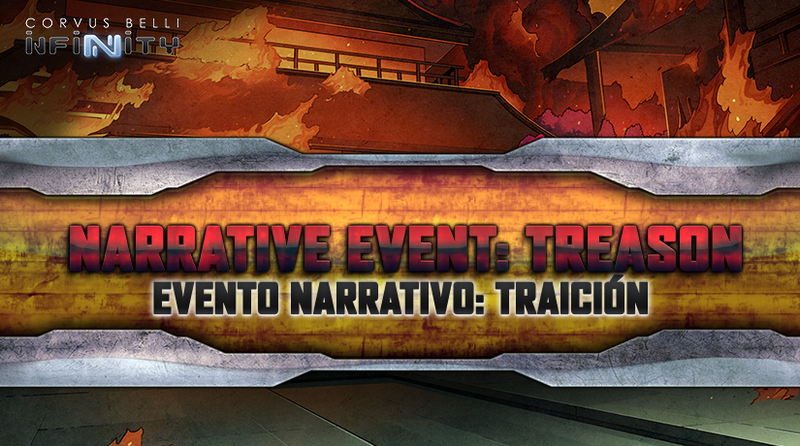 The narrative event Treason is divided into five chapters, each corresponding to a Tournament Round.